Based in Co. Galway, McTigue Quarries Ltd are specialists in sourcing and supplying construction and quarry equipment to both the home and International markets. www.euro-plant.com offers a wide range of construction machinery nationally and for export worldwide. 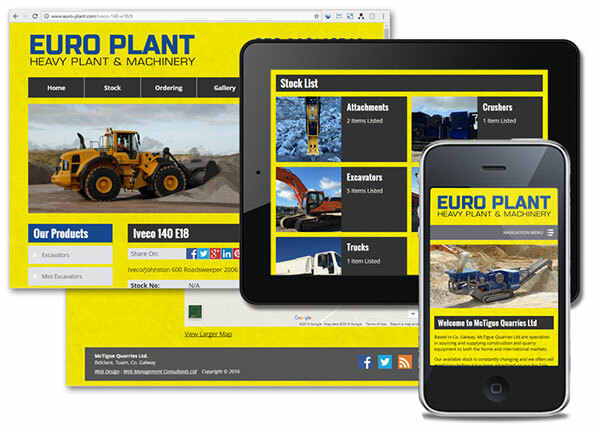 Click the screenshots below to visit www.euro-plant.com.